Watching The Spectacular Now is like pulling on a loose sweater thread. It seems simple at first, a straightforward example of a garment of its kind. But as you pull on the thread, unraveling it, the hidden colors that give the sweater its overall hue are revealed. The actual composition of the thread is suddenly more complex, and you’re not sure you could fit it back into the sweater it was originally. Sutter Keely (Miles Teller), is a senior in high school. He lives in the now as a means to escape his problems, including his breakup with Cassidy (Brie Larson) and his relationship with his mom (Jennifer Jason Leigh). He meets Aimee (Shailene Woodley), a “nice girl” and the two are drawn together. The Spectacular Now has all the trappings of a generic coming of age story, but I found myself captivated by it nonetheless. The structure and themes play a key role in distinguishing this from other films in this genre. At the beginning of the film, Sutter seems to purely be an iteration of the “class clown” archetype. Popular at parties and a constant spewer of jokes, he seems to be happy with his role in high school, and happy with his life. However, as the film goes on, we begin to understand the person beneath the persona. Sutter’s persona is built around the idea of the lovable, harmless guy. He likes girls and alcohol, but we come to understand that this is his reaction to what he feels is an unstable homelife. As the cracks begin to appear from multiple directions, Sutter is ultimately thrown into a crisis of identity. He must choose to continue to self-mythologize, pushing people and opportunities away because he is afraid, or he can attempt to make something of his life. All of this is made possible by Teller’s affable performance. He carries the entire film on his shoulders, and his charisma and easy line delivery enables the audience to understand exactly why he is liked so much. Much of the film is spent developing the relationship between Sutter and Aimee. Portrayed as someone who is not quite shy and not quite naive, she and Sutter find a comfortable balance, taking their time before pushing or pulling the other out of their safe zones. Thankfully, Woodley’s character steers away from the “Manic Pixie Dream Girl” trap, being a fully realized character with her own ambitions, barriers, and inner life. I would have welcomed a companion film featuring Aimee as the main character, as this is definitely Sutter’s story, but we are given enough to feel that Aimee is in the middle of her story as well. Turning its purview toward the actualizing of consequences, rather than forcing drama, The Spectacular Now doesn’t feel dark so much as authentic. Sutter is such a richly drawn character, and there is a lot to unpack by the end. By peeling back the layers until he hits the core of his problems, we are able to maybe glimpse some hope on the other side. The Spectacular Now is one of my favorite films of the year so far, which I surprise myself by saying, since I usually don’t take to ‘coming of age’ stories this deeply. However Teller and Woodley’s performances, boosted by a stellar supporting cast, imbue The Spectacular Now with a genuine warmth that is hard to ignore. 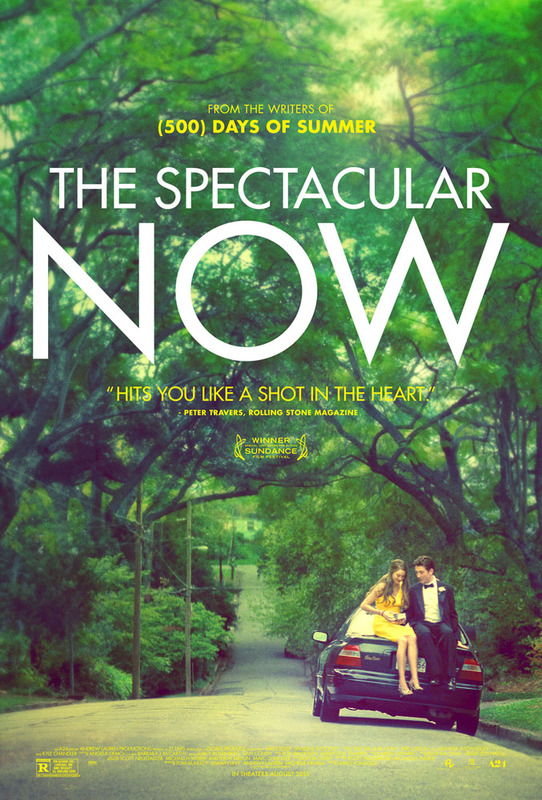 The Spectacular Now opens today in Philly.